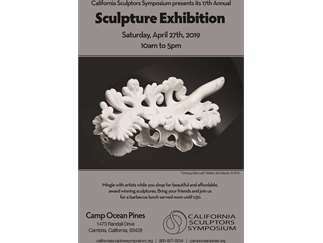 The California Sculptors Symposium (April21 -28th,2019) presents its 17th Annual Sculpture Exhibition. Meet the artists at work and see award winning sculpture .Iindoor and outdoor show over the Pacific Ocean! Collectors will find any affordable artwork to chose from. Please join us for a BBQ lunch served until Noon to 1;30pm.